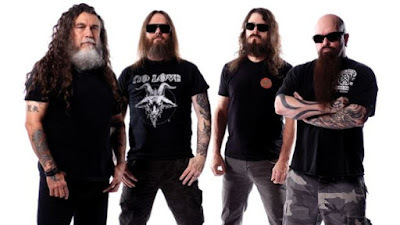 Canadian conspiracy theorist, known on YouTube as "The Vigilant Christian", has uploaded a video in which he dissects Slayer's new video for "Repentless" and discusses the "satanic" influence in hard rock and heavy metal music. You can watch the video below. Regarding the "Repentless" video, The Vigilant Christian said: "This is pure Satanic, evil filth. There is no other way to put it. 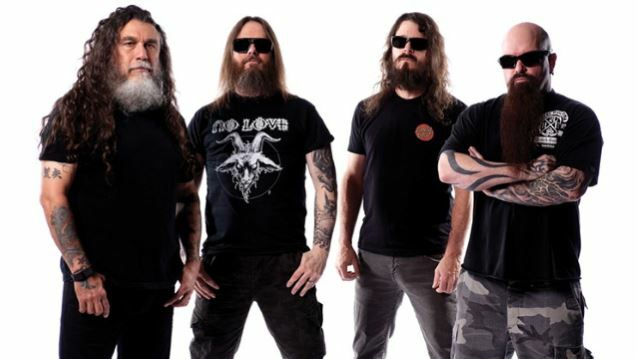 Those of you who know Slayer, it's no surprise that they would put out a video like this. They're a Satanic death metal band, and they're constantly using Satanic symbols." "Now, the majority of their fans are brainwashed to think that this is just fun, it's nothing more than art, making Satanism cool. 'Oh, it's so cool.' They're clueless to the fact that there is a spiritual reality. "The fallen angels are in a battle right now against God and are working on this Earth to establish an antichrist kingdom, a New World Order, a Satanic, Luciferian kingdom. But to the average fan of death metal, 'Oh, this is just entertainment, man. You're taking it too far.' No, you are clueless and have no idea that there is a spiritual reality, and this stuff is, in fact, invoking demonic principalities in your life."